A black hole is a very odd thing; a remnant of an old star, it has mass but no atoms. The stuff of which it is made is so dense that it warps space and time; no ordinary matter can escape its enormous gravitational pull, not even light. Because you cannot see a black hole directly, scientists can only observe them through their effects on nearby stars. Black holes start out as large stars that are roughly 20 times bigger than the sun. Stars are composed of normal matter -- atoms of hydrogen, helium and other elements -- and having the mass equivalent to many hundreds of thousands of Earths. All this mass produces gigantic gravitational forces that want to crush the atoms out of existence. During the star’s lifetime, however, the energy it produces pushes outward with enough force to counterbalance gravity. When the star runs out of fuel, it explodes into a supernova, leaving a dead core inside a cloud of gas and dust. If the core is more than 2.5 times the mass of the sun, its giant gravity squeezes its atoms until all the matter has zero size. Oddly, the mass is still there, forming the center of a new black hole. All matter has density, defined as an object’s mass divided by its volume; substances that have the same mass in a smaller size have greater density. To give a few examples, water has a density of 1 gram per cubic centimeter, and osmium, the densest element, weighs in at 22.6 grams per cubic centimeter. Stellar remnants such as neutron stars are extremely dense, weighing in at millions of tons per cubic centimeter. 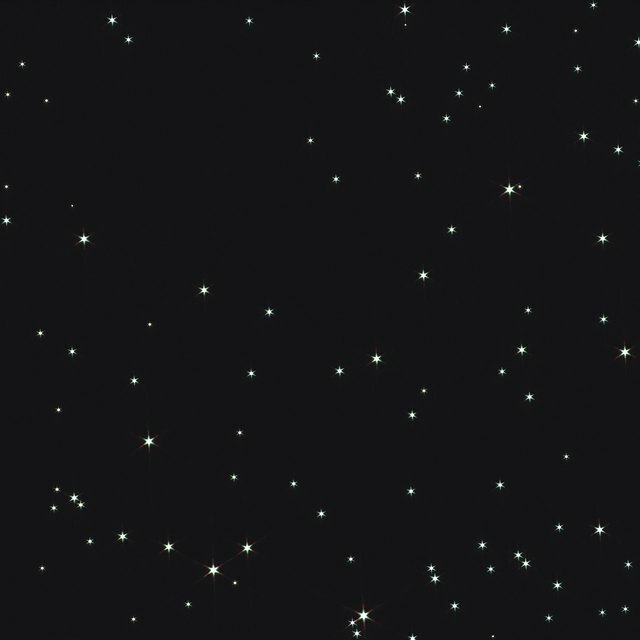 These stars are composed not of atoms but particles such as electrons and neutrons; the pressure of gravity is too high for atoms to exist. A black hole goes a step further, crushing even neutrons; its density is infinite. Every star, planet and moon has an escape velocity a rocket must reach in order to pull away from the object’s gravity. The stronger the gravity, the faster the rocket must go. The Earth’s escape velocity is about 40,233.6 kilometers per hour (25,000 mph), so any space probe launch must move faster than that speed to achieve its mission. The escape velocity of a black hole is greater than the speed of light -- 299,792 kilometers per second, or 186,000 miles per second. A black hole, a pinprick in space with a greater mass than the sun, is hard to describe in ordinary terms. But black holes have defining features, including the Schwarzchild Radius. If you approach a black hole in a spaceship, you begin to feel the tug of its gravity. As you venture closer, your spaceship’s rockets must work harder to keep you from falling in. 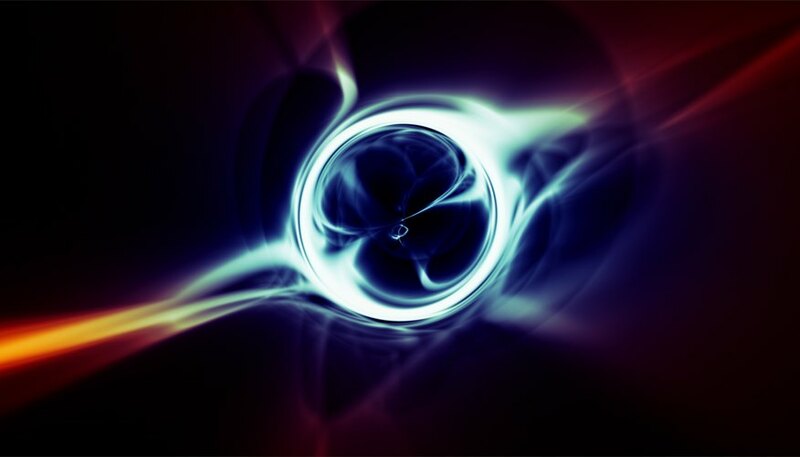 Once you reach the Schwarzchild Radius, a distance from the black hole’s center determined by its mass, no rocket, no matter how powerful, can escape. Everything unlucky enough to cross this imaginary line falls into the black hole, including light. Hubble Site: How Is a Black Hole Created? Papiewski, John. "Composition of a Black Hole." Sciencing, https://sciencing.com/composition-black-hole-8621.html. 24 April 2017.